We thank you for taking the time to browse our website and hope you have found all the information you need. We would like you to know a little about ourselves, and how we came to be running Chalet Carnauba in Châtel. We are Matt and Sam Sheridan, originally from the flat fenlands of Cambridge. Whilst in Cambridge, we were working as an orthotist and an electrician. 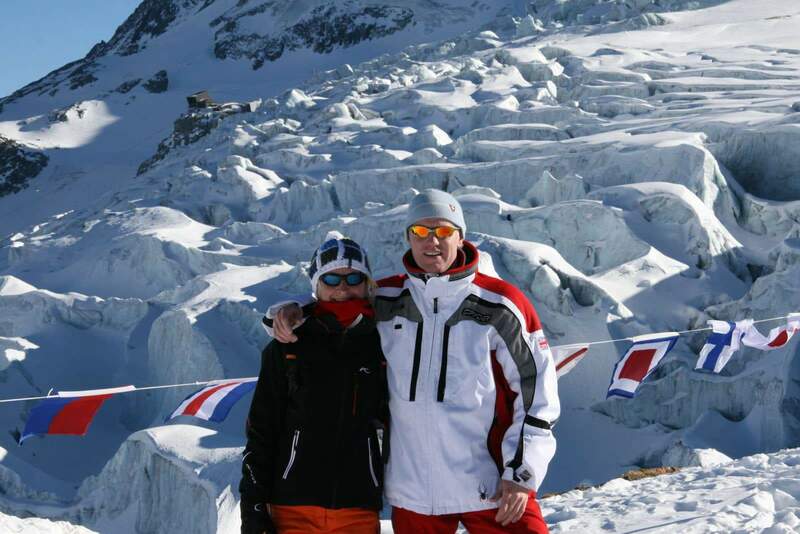 We have walked skied and hiked all over the Alps over the years meeting many chalet owners, ski guides, mountain guides and a lot of other people involved within the Alpine industry. We decided to make the lifechanging move and head for the Alps, and haven't looked back since, as we love the activities and the healthy lifestyle it offers us. Since our moment of madness back in 2009, we have run a successful catered ski chalet in Champery Switzerland. We have recently relocated to the pretty alpine village of Châtel, where we hope to share our love of the mountains with you. We look forward to seeing you soon in this beautiful part of the Alps.